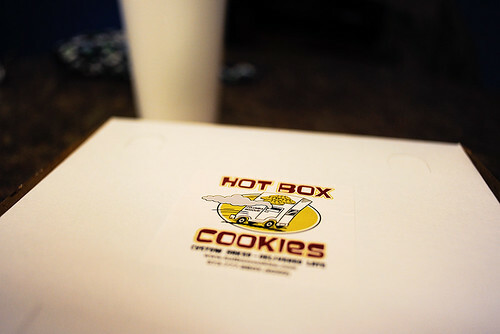 Late last night, Jeff and I took advantage of Hot Box Cookies‘ late hours and a Facebook special to get some fresh oatmeal cookies. I also took advantage of it as an opportunity for another photographic sequence. Then, the cookies. 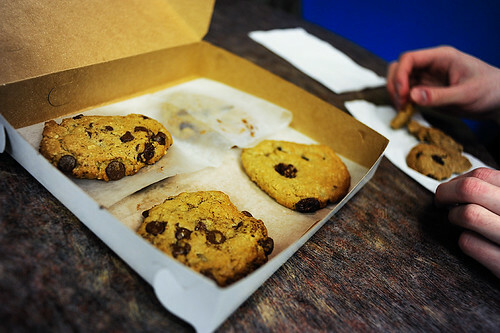 Jeff and I ordered half a dozen oatmeal cookies: three with chocolate chips and three with raisins. 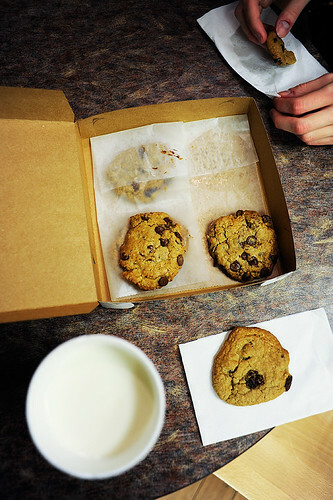 Each half-dozen order of cookies comes with milk, which is a must with fresh-baked goods. 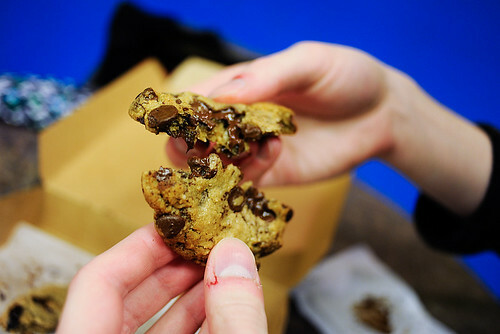 Because there were three cookies with chocolate chips and three cookies with raisins, Jeff and I had to split one chocolate-chip cookie and one raisin cookie. 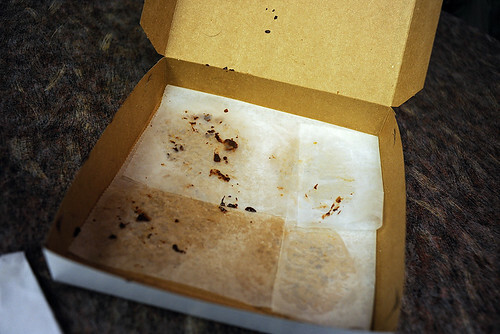 We take our consumption of baked goods very seriously. As with my previous sequence (of shaving), I toned only to correct white balance and bring out the highlights.